By Jonna Shutowick. M.S. Ed. When my husband came home with a Corvette on his birthday last December I gently teased him about his midlife crisis. I mean, it was certified preowned, not brand new, so I wasn’t that concerned. Then, to his credit, he reminded me that I had just enrolled in a Master’s program that, by the way, has nothing to do with my current career. It is just for ME! Events like these have been occurring with more and more frequency over the past few years and have me wondering about the fabled midlife crisis that we’re so familiar with in our culture. New sports car - ‘check’; new hobby - ‘check’; empty nest - ‘check’; noticeable physical changes -‘check’; Admittedly there have been some fun things, such as acting like college students more than when we were in college; and some not so fun things, like not seeing eyeto-eye on what the “next phase” of life should look like. But, like anything else, it is a stage of life that we will traverse. Ready or not, here it comes. I am no stranger to the concept that each day is a gift, and not sweating the small stuff is a lifestyle choice I mastered a long time ago. Yet with life slowing down, granting me that coveted time to finally do the things I never had time to do in my thirties and forties, I am confounded by some of the things I allow myself to stress about. And sometimes, for reasons I still can’t quite figure, I occasionally indulge in a pity party when I feel frustrated by the lack of progress that seems to be hindering my path to greatness. With fewer distractions than I can ever remember, the reality is setting in that the only thing getting in the way of me and my dreams is.... ME! Interestingly, my first instinct is to fill up my free time with more distractions. I’m taking classes, golf lessons, I joined a gym; I get regular massages and facials - all in the name of self-care, but the truth is, unless I get out of my own way, I will never write this amazing novel that’s been kicking around in my head since... FOREVER! And with that thought comes panic, which of course is fear. Fear of failure. What if my dreams were little lies I told myself to make myself feel valiant for sacrificing so much until it was my turn? And, as cliche as it sounds, what if, now that I have the time, and therefore no more excuses, I try to achieve my dreams and...fail?! I’d have no one to blame but myself. 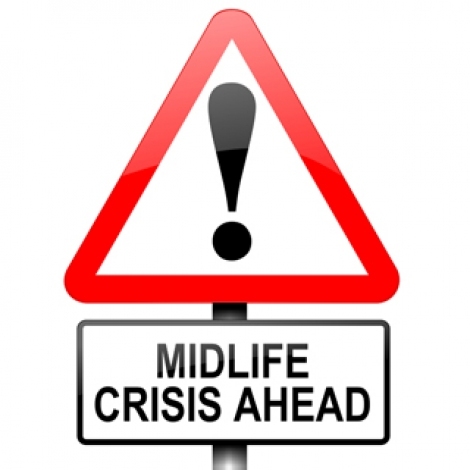 Midlife offers us the opportunity to stop, reevaluate, and, due to the increasingly undeniable acknowledgement of our mortality, has us walking a fine line between a breakdown and a breakthrough. 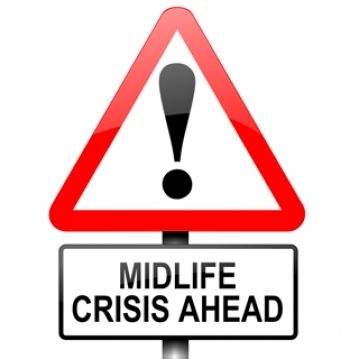 One thing is certain, a midlife crisis is really a midlife transformation. It is a turning point; a time for change and opportunity. And as long as I can remain open, empathetic to my husband’s own path, and maintain a healthy balance between focus and obsession, we will be as ready, if not more ready, for our Second Act.